Vaccine safety is arguably the most heated controversy in pediatric medicine. In the last thirty-five years, federal health officials have more than tripled the number of vaccinations children receive in the United States. At the same time, a growing number of researchers and parents are questioning the soundness of the one-size-fits-every-child vaccination schedule. Our children are the most vaccinated kids in the world, yet half of them suffer from at least one chronic health condition. Asthma, life-threatening allergies, diabetes, bowel disease, seizure disorder, and a host of developmental problems now plague America’s children. For years, the Centers for Disease Control and Prevention has had the last word on vaccine safety. It continues to produce research showing no serious risk from vaccinations. Hidden behind these public assurances, however, are hundreds of conflict of interest waivers and extensive financial ties to the pharmaceutical industry the CDC oversees—an industry that has no liability for the vaccines it manufactures. 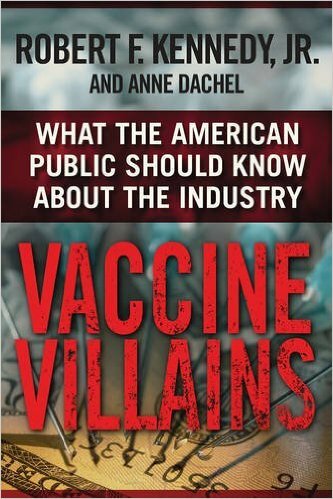 In Vaccine Villains, Robert F. Kennedy, Jr., and Anne Dachel uncover the dark side of the vaccine controversy that you will not hear in mainstream news.